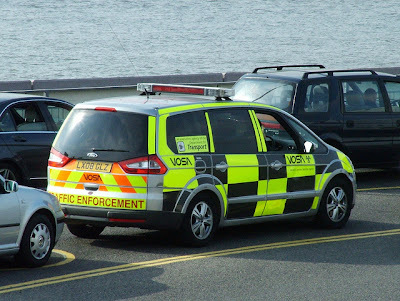 The Driving Standards Agency (DSA) and the Vehicle Operator Services Agency (VOSA) are to merge, roads minister Stephen Hammond announced today. That means motoring services from driving tests to the testing of goods vehicles will be the responsibility of one organisation. The single agency will come into being in 2014. A transitional board under the leadership of VOSA chief executive Alastair Peoples will start work next month to determine the structure of the organisation. Peoples will head the as yet unnamed new agency. Rosemary Thew, the DSA chief executive, will be leaving her post at the end of June. Stephen Hammond said: “We need to make sure that we continue to keep pace with customers’ needs and deliver services in a way which is both convenient and cost effective. These changes will put customers at the heart of the services they rely on and allow for a more coherent approach to service delivery. By bringing testing and standards services into a single organisation we will make life easier for customers and potentially reduce the fees we charge. The news has been given a guarded welcome by the Road Haulage Association (RHA). Geoff Dunning, the RHA chief executive, said: “This move makes obvious sense to an industry that is surrounded by regulations from number of regulatory bodies. However, we are concerned that this is another case of the devil being in the detail and we would welcome the opportunity to contribute to the negotiations as to how the new system will actually work.